Every so often I stumble across a jewel of a book, a wonderfully unexpected, serendipitous read. Such is the case with Jess Kidd's novel, Mr. Flood's Last Resort. Mr. Flood is a cantankerous old man, living in his crumbling mansion Bridlemere, surrounded by his 'collections.' His son wants to put him in a home and Mr. Flood has one last chance to stay put - let a carer into the house to clean up the house - and him. That last resort is Maud Drennan. That's just the starting point. There is so much happening in this novel - and it makes for an absolutely addicting read. Maud has a tragedy in her past - one that only slowly comes to light as the book progresses. "You'll only cause bloody trouble. Like you did before." There's mystery in Cathal Flood's life as well. A mystery that the house itself seems to be revealing to Maud as she cleans. Maud also receives assistance from the various Saints that trail after her. Ones of course that only she can see and hear. Kidd's characters are quirky and quickly endeared themselves to me. I adored Maud, but her agoraphobic neighbour Renata is a close second. Cathal Flood will have your emotions running the gamut. Mr. 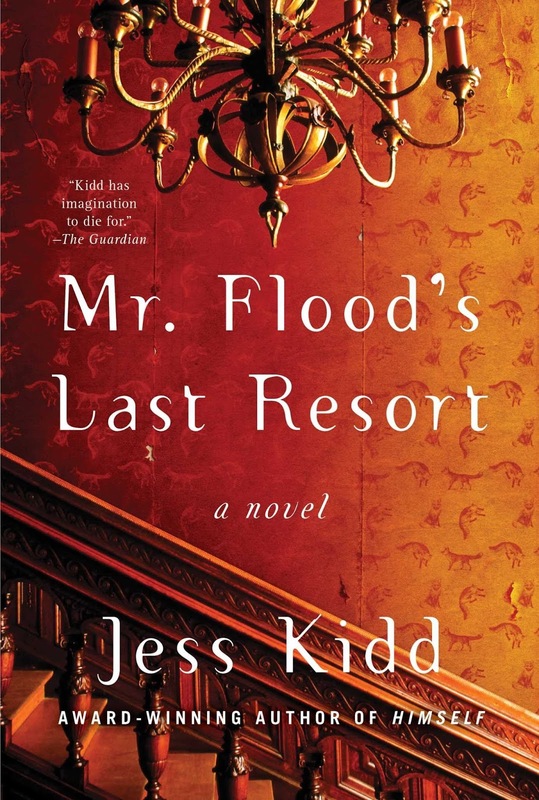 Flood's Last Resort is infused with magical realism. I enjoy this story telling element and Kidd does it extremely well, with the Saints and the collapsing house that seems determined to put the past right. Irish fables and proverbs add to that atmosphere. Kidd's prose are wonderful. There's a mystery to be solved in Mr. Flood's last resort, but there's so much more to the tale. Forgiveness speaks loudly. Heartbreaking, heartwarming and so very, very good. (And that ending? Perfect - although I wished I knew more....) Absolutely recommended. Read an excerpt of Mr. Flood's Last Resort. Labels: heart string tugger, Irish author, Irish setting, magical realism, Simon and Schuster Canada, so good! You've made me want to pick it up. This is also on my tbr list. So thrilled that you enjoyed it Luanne! Kay - It's very good - quirky but endearing. Bermudaonion - I hope you enjoy it. Icewineanne - Glad its on your life - it's a good one.